Recently I found myself doing a little networking with an alumna from my business school, Rosie O'Neill. Turns out this former Mattel marketer has started a business that has me oh so jealous inspired. Early in their relationship, Rosie and boyfriend Josh Resnick started talking about their mutual love for candy. Fast forward three years and the couple has started a successful, globally-sourced, adult-targeted online candy business. Sugarfina stocks candy from around the world, which means lots of scouting trips for Rosie and Josh. Yes, you read that right, these two get to travel around the world sampling candy, and oh yeah, they get to do it together, too. Yes, this truly is a dream career! 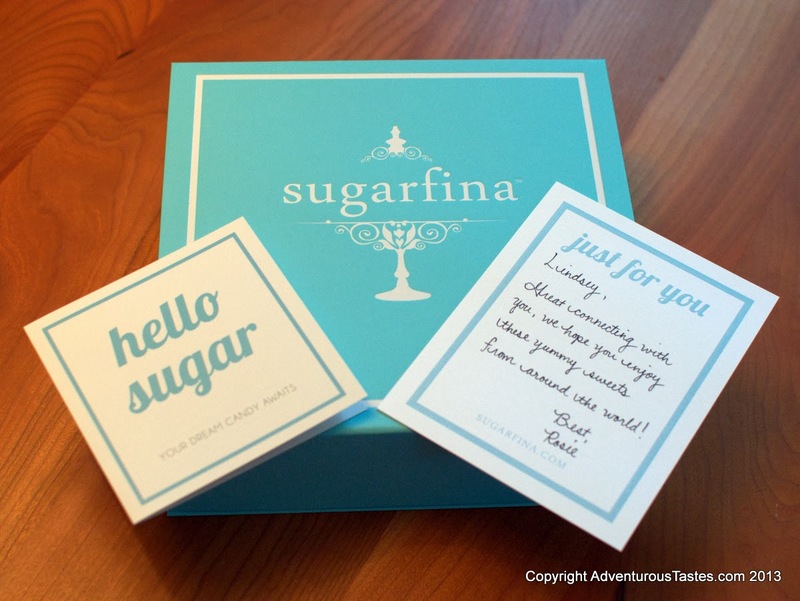 Sugarfina's packaging is gorgeous (think Tiffany's meets a bento box), so it truly feels special when it arrives. Whether you're treating yourself to a candy that you can't get anywhere else in the US or you're sending a gift to a client or loved one, Sugarfina will impress. I especially loved the details in my package like a handwritten note. The candy selection takes familiar candy classics like gummies, caramels or malt balls to places both unexpected and sophisticated. Champagne Bears or Matcha Green Tea Caramels, anyone? Everything we tried was delicious, and I'm not ashamed to admit that I polished off this entire box of candy in just a few short days. OK, I might be a little ashamed, but I was powerless to resist such delectable treats! 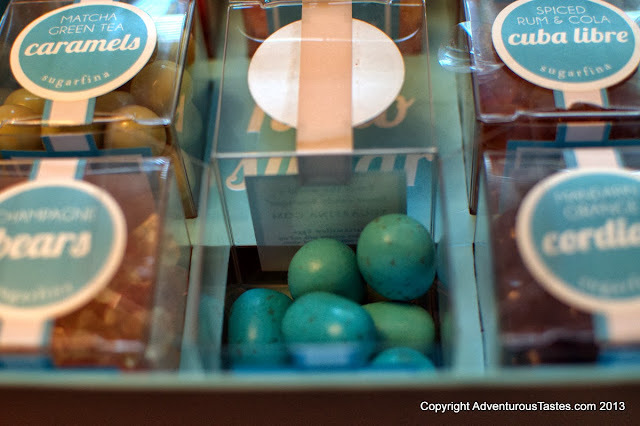 Rosie and I share a favorite among Sugarfina's wide selection - the marshmallow eggs. These robin's egg blue little babies would make a heavenly Easter, or heck any time of the year, treat. I shared the candies as a whole with the Mr., but I may just have scarfed these down before he had time to have more than one or two. 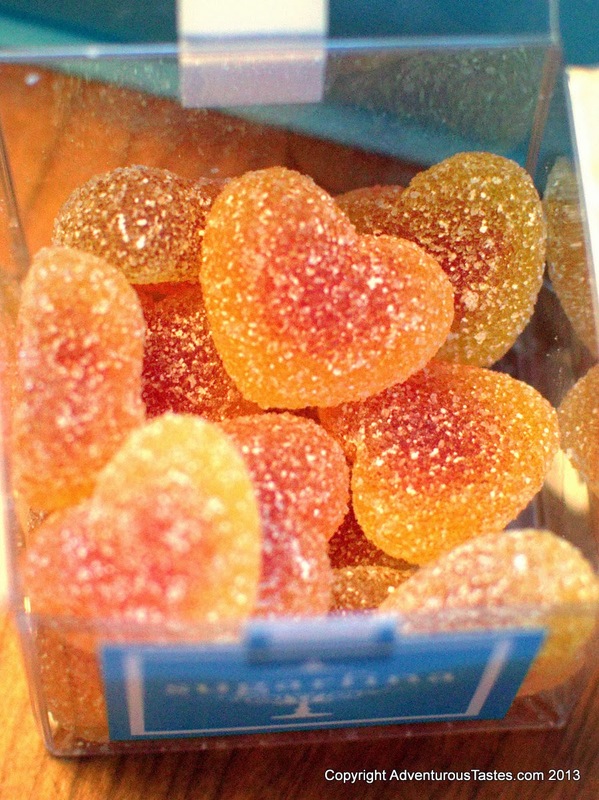 I'm a chocolate fiend, so I was surprised that my other favorite was the sugar peach sweethearts. 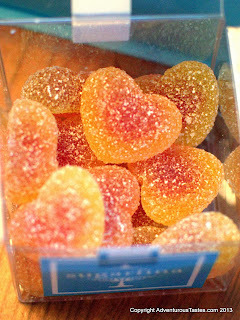 They're just so darn cute and full of peachy goodness that I couldn't resist them. Overall, I was just so impressed with Sugarfina. Everything from product selection to packaging to brand personality suggests a true passion for candy and delighting customers. 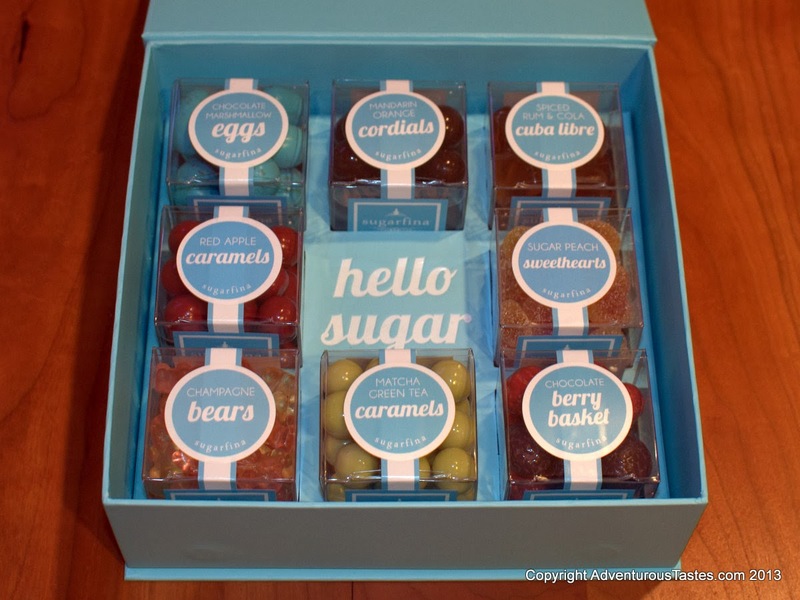 You cannot go wrong with buying a gift from Sugarfina. They even have themed selections like "Will you be my bridesmaid?" and a cocktail hour tasting of booze-inspired candies. Wondering what to get that tough to please client or your friend who fed your cat all week? They want Sugarfina candy, trust. *Full disclosure: Although my candy was comped, I always endeavor to offer my unbiased opinion of the experience!